Yesterday evening, Michelle L’amour – Miss Exotic World 2005 and celebrated superstar of contemporary burlesque – unveiled a surprise video statement, revealing a painful disease she has lived with since childhood – Alopecia. 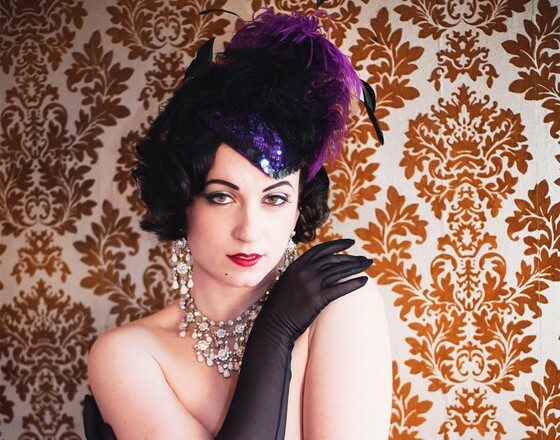 Michelle L’amour told 21st Century Burlesque Magazine: “Today, I revealed myself in ways that I never have. I fully embraced what it means to be ‘The Most Naked Woman’. I have hid this secret from friends, from some family, and from fans. “This has been a battle I have fought for most of my life, 30 years. When I was a child, I didn’t really understand it and I wasn’t self aware enough to care. What I remember from that period is that I got a wig and it fell off during a rousing game of ‘duck, duck, goose’ in kindergarten. Many of you have asked me in the past why I don’t wear wigs. That was why. It was a terrible day when everyone laughed at me and I came home with my wig askew, crying to my mother and telling her that I was never wearing a wig again! That was the moment when I realized the importance of honesty. I vowed from that day forward to live honestly. Watch Michelle L’amour’s emotional video statement below.